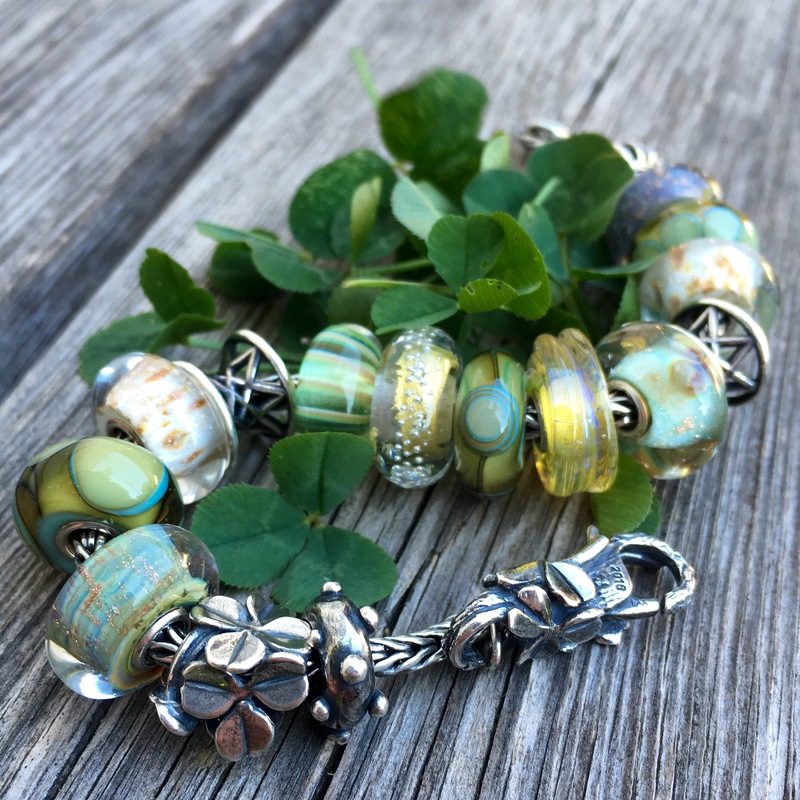 Lucky Friends Bracelet and Trollbeads Day! 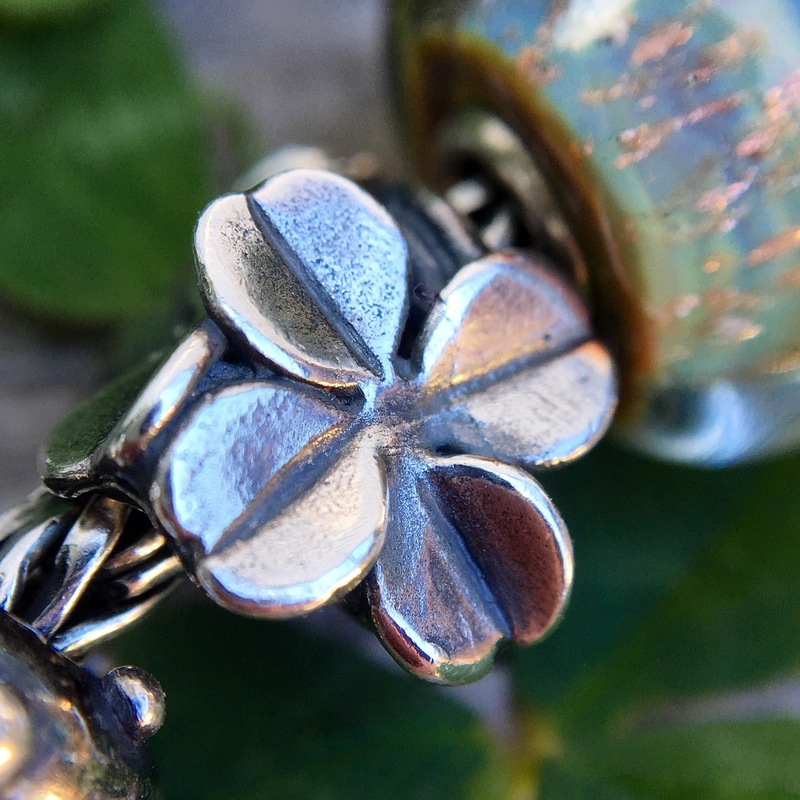 The clover bead has 1 four leaf clover and 3 three leaf clovers. I made up a bracelet using the softest greens I could find in my collection and really like the result. I also went around our yard to pick some clover. Sometimes a bunny comes around to eat it! I love the way the yellow beads look in the sun. Left to right below are Dot to Dot, the clover bead, Rainbow Bridge, Aqua Edge Pumpkin, Scirocco, Smile of Stars and Wise Bamboo. 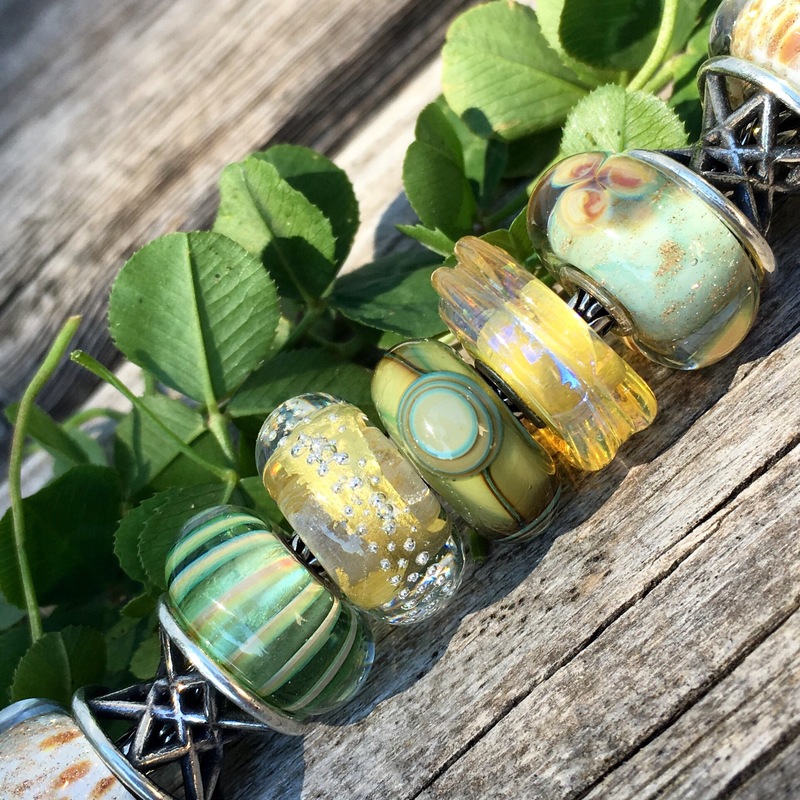 Below left to right after the Wise Bamboo are Gold Silver Trace, Aqua Edge Triangle, Honey Dawn, Floral Wishes, Smile of Stars and Scirocco. 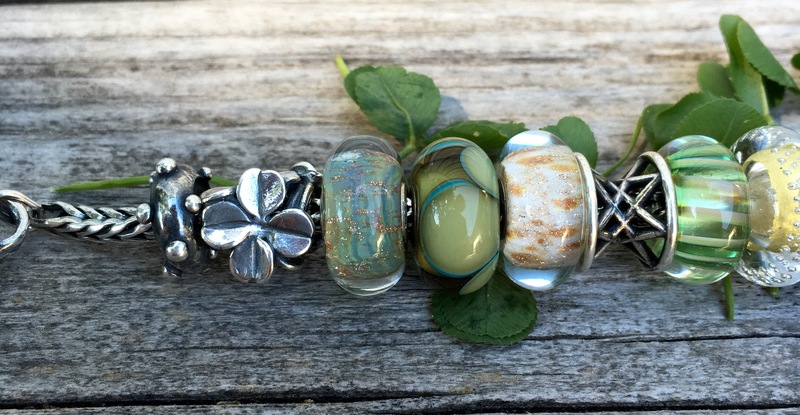 Below left to right after the Scirocco are an Aqua Petals, Blue Desert, Lucky Knot and Sunbeam. Honey Dawn looks so yummy close up. And I got lucky with this Rainbow Bridge as I think it’s very pretty. 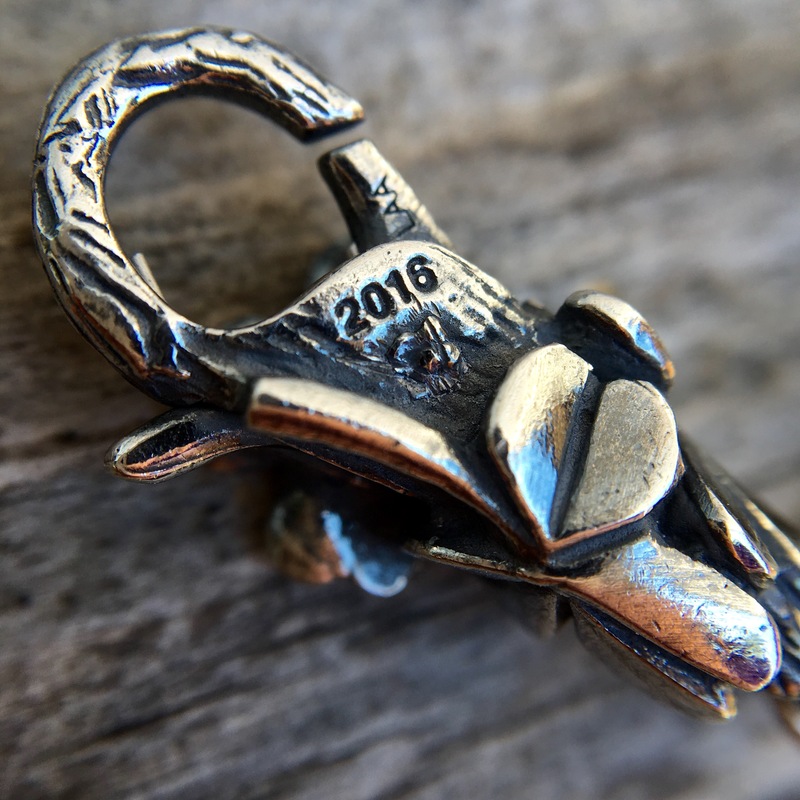 Here’s a last look at the bracelet. 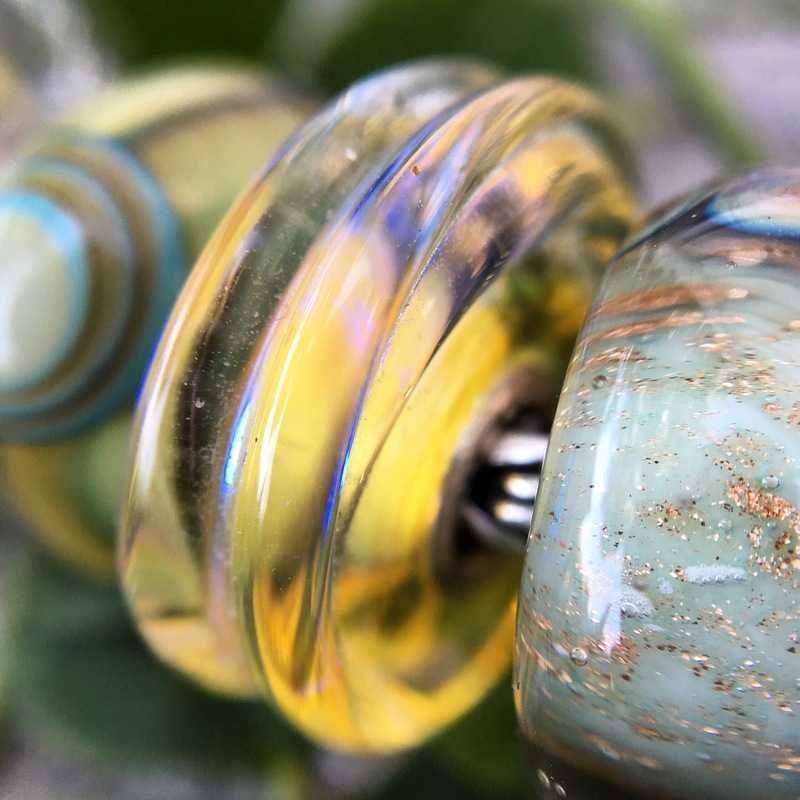 I live too far away from any Trollbeads stores to participate in today’s festivities, but I’d love to hear other people’s stories! 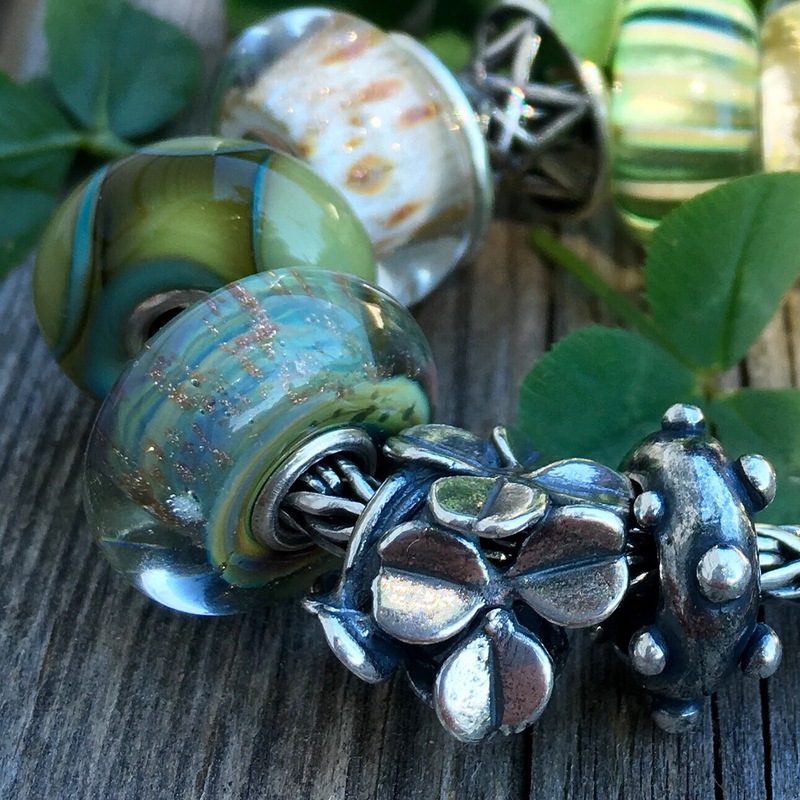 If I weren’t working, I would be on my way to the Trollbeads Store in Brampton! I love this bracelet which you created, so many treasures on one strand. I would love to see in “in person”, too. Yes, your Rainbow Bridge is the prettiest I’ve seen. Thanks, Sarah. I’m going to try to keep this one together for a while as I really love it. That would have been fun for you to go to the Brampton store, but as you say, work calls. Enjoy your day…you must be into full on tourist season now. I love these soft colours! I thought about making the trip to Brampton, too, but then my oldest was invited to a birthday party today, so that put an end to those plans. But, it has been really nice seeing all of the pictures on social media! Thanks Tracy! Yes, I’ve especially enjoyed seeing the decorations in the stores! I got LE bracelet from Earthwork, my friend got one which is her first Trollbead purchase. We both got 2 beads to share buy 3 get 1 free promotion. I got my favourite Amethyst ( last one in store ) and 2016 LE Mother’s Day murano, they go well together. I would like to buy 3 get 1 by myself but nothing much I like, Earthwork sold out a lot in the morning. We didn’t even have chance to see Deep Ocean, they had only 4, one lady bought 3, wow! How fun to go with a friend and share the deal! Too bad you didn’t get to see a Deep Ocean. The lady who bought three must have really liked it! Free cleaning clothes and small travel pouch, not bad. Hi Martha! 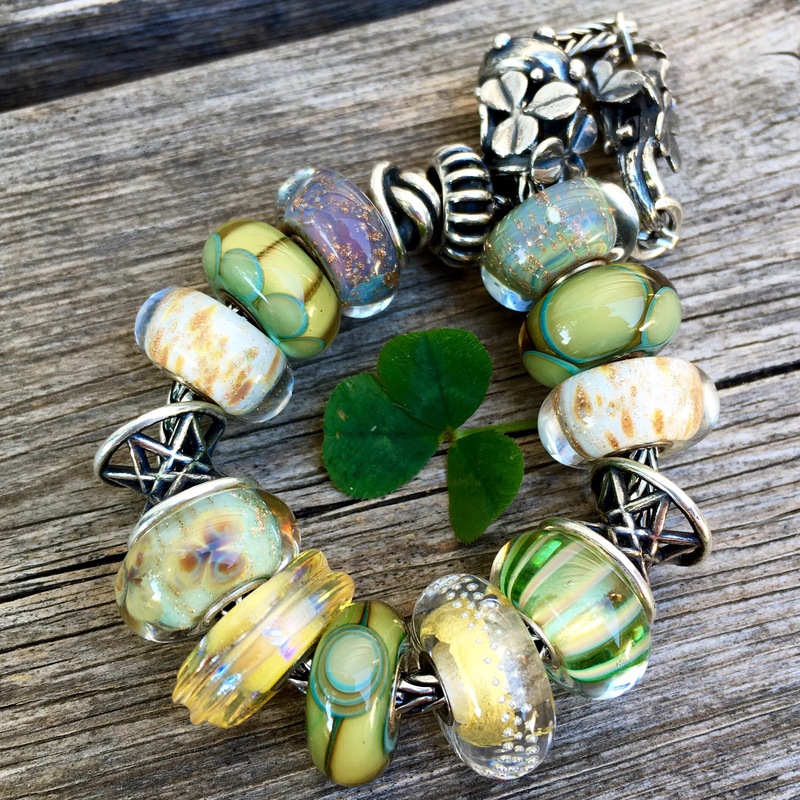 Love your beautiful yellow and green beads! Honey Dawn and Rainbow Bridge are so stunning in the sunlight! I visited my local Mom and Pop who sell Trollbeads in their lovely gift shop! I took advantage of the buy 3 beads get 1 free. I picked up Traces, Conch, and Blue Moonstone (on my Instagram), and for my free bead I chose Seabed Stripe. I have been admiring yours for a long time! I also received one of the stackable travel jewelry cases. I am absolutely thrilled because I definitely needed some more storage for my beads! Unfortunately, they did not receive the Deep Ocean bead yet. I have mixed feelings about this. I absolutely love the bead, but I am very disappointed that it doesn’t fit on the bangle since I wear mine so very often. I will go to Earthwork to pick up lucky draw free coffee and cream strip bead from Trollbead Day, not bad.